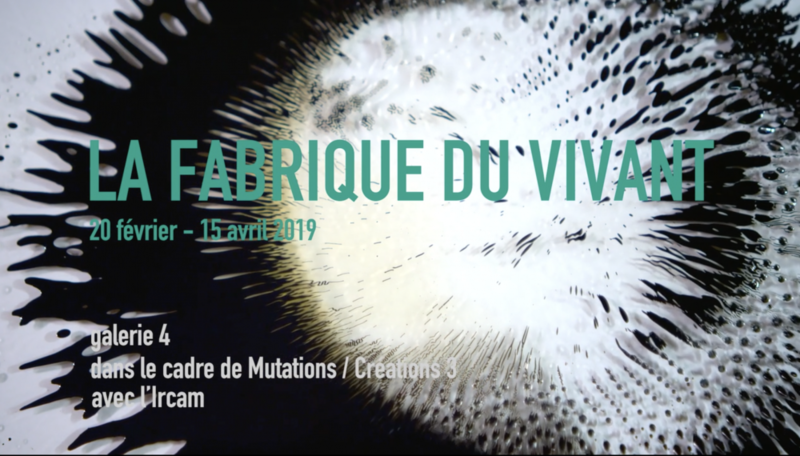 "Mutations/Créations", the annual creation and innovation laboratory at the Centre Pompidou questions the links between the arts, science, engineering and innovation. The cycle brings together artists, engineers, scientists and entrepreneurs, all the protagonists of the sensory and the intelligible, who affect and transgress our present. For its third edition, the event brings together the visual and digital arts, design and speech, in the course of a collective exhibition: "La Fabrique du Vivant", the first personal and monographic exhibition in Europe of the Brazilian artist Erika Verzutti, and the third edition of the Vertigo forum, conducted by the Ircam.